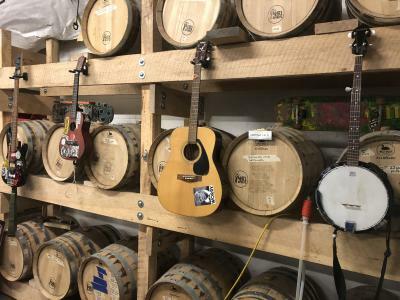 Much like the brewery boom, distilling in Columbus is experiencing a new heyday, with distilleries creating classic spirits and experimenting with new flavors and processes. 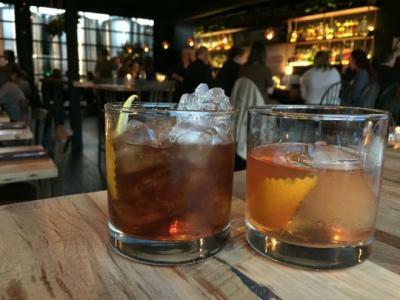 As demand has increased and state laws have changed, distilleries have been able to expand, even getting into the restaurant business. 2018 promises to be another year of growth, so let’s take a look at the city’s existing distilleries and the new ones coming soon! 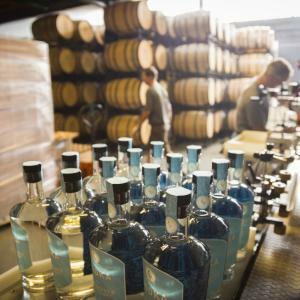 Watershed Distillery has grown by leaps and bounds, expanding their Grandview space many times over. Built around celebrating watershed moments, the distillery opened with a portfolio of vodka and gin, then grew quickly to include bourbon, apple brandy, and specialized spirits like the Nocino black walnut liqueur and bottled Old Fashioned. You can book a tour of the distillery, too! Last year they opened Watershed Kitchen & Bar, an on-site bar and restaurant with creative comfort foods crafted by Chef Jack Moore and paired with cocktails by mixologist Alex Chien. Middle West Spirits opened in 2010 and quickly built a respected portfolio through their OYO line of vodkas and whiskeys. Head distiller Ryan Lang is a fourth-generation distiller, and he’s guided Middle West to create award-winning spirits crafted with Ohio ingredients, from the OYO vodka to Michelone Reserve bourbon to Vim & Petal gin. Middle West recently completed a major upgrade to its facilities, increasing its capacity, adding new barreling warehouses, revamping the bottle shop, and adding its own restaurant, Service Bar, with chef Avishar Barua. Get to know the distillery first-hand by scheduling a tour! Brothers Drake is the city’s only meadery, producing a series of meads from raw Ohio honey in their production space and bar next door to Middle West Spirits. They craft meads from the simple and subtle Wild Ohio and Honey Oak, to complex flavored varieties like the Apple Pie, Bergamot Blue with blueberries, and the Ginger Verve with chamomile and lavender tea. 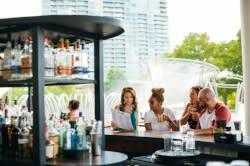 Stop by their bar to sample flights of meads or mead cocktails and stay for their live music line-up. 451 Spirits pushes the boundaries of distilled spirits, electing to add creative flavors to classics like rum, gin, whiskey, and absinthe. Their products range from the Dear Johnny smoked apple whiskey to the Clawfoot Gin distilled with 10 herbs and spices, to the Writers Block rum infused with mint and lime. You can schedule tours of their Clintonville through their website. Karate Cowboy specializes in spirits that blend traditional grain alcohols with Japanese sake. While they don’t have a storefront, you can find their spirits on shelves and at bars around the city. Their three primary flavors include the smooth and vanilla-touched Natural, the refreshing Ginger Mint, and the sweet and zesty Honey Wasabi. And more distilleries are on the way for Columbus! Products from Echo Spirits Distilling Co. should be hitting store shelves in 2018. Located in Gahanna, Noble Cut Distillery has begun producing and will first feature their spirits at the North Market Mix & Shake on February 17. Finally, High Bank Distillery is slated to open in the spring of 2018 with a complete bar, 200-seat restaurant, and game area at 1051 Goodale Blvd. in Grandview. They plan to launch with an organic vodka, organic gin, and a blended rye whiskey.